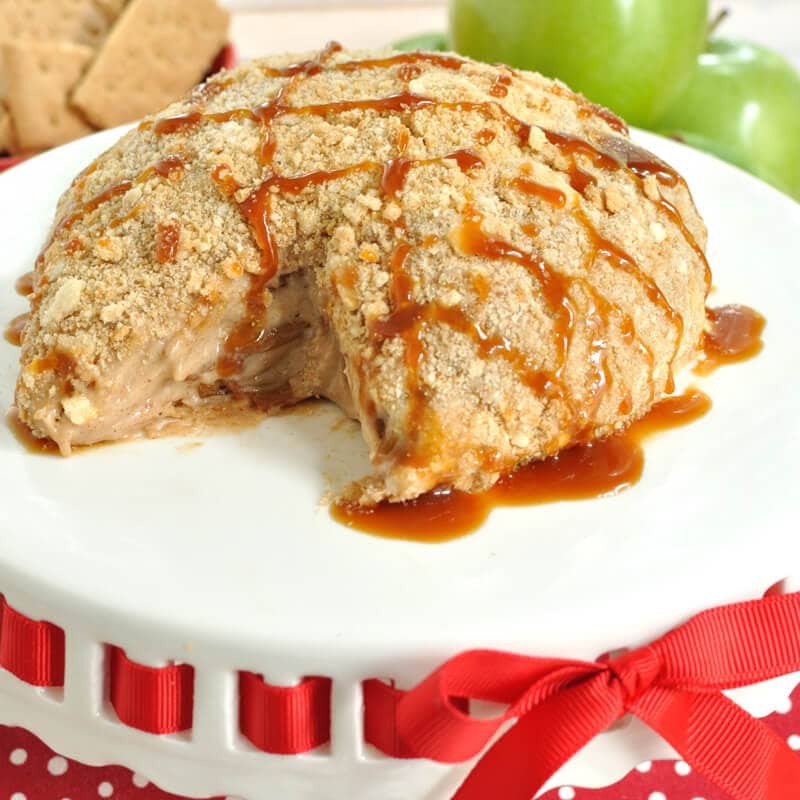 Apple pie plus caramel in a cheese ball, need I say more? 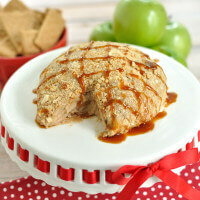 Today I’m introducing you to the Caramel Apple Pie Cheese Ball! There is a saying that “everything is better with bacon”, but I think caramel falls in that category too. I absolutely love caramel! I like it in my coffee, I like it on my ice cream, I like it with chocolate, and well you get the picture 🙂 I like salted caramel too! 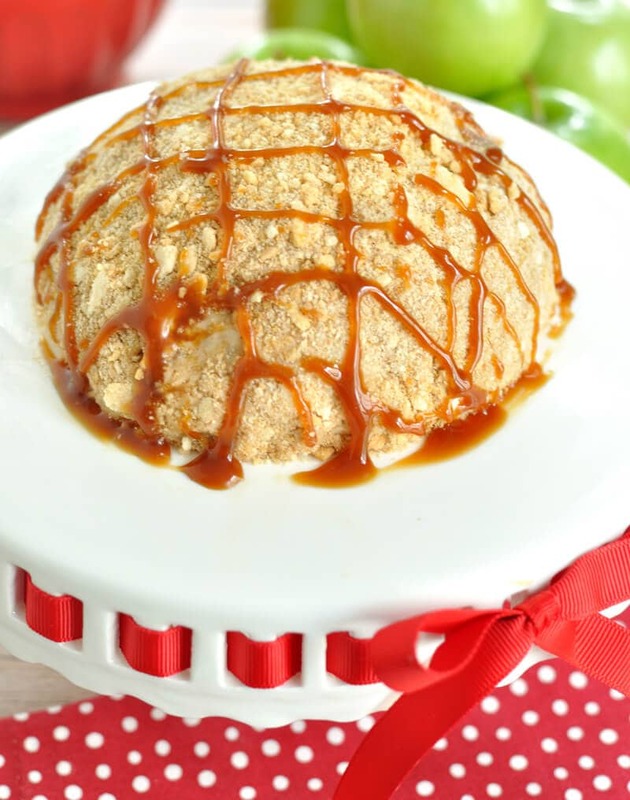 Caramel is great with apples and on apple pie and it looks (and tastes) wonderfully poured over this caramel apple pie cheese ball. 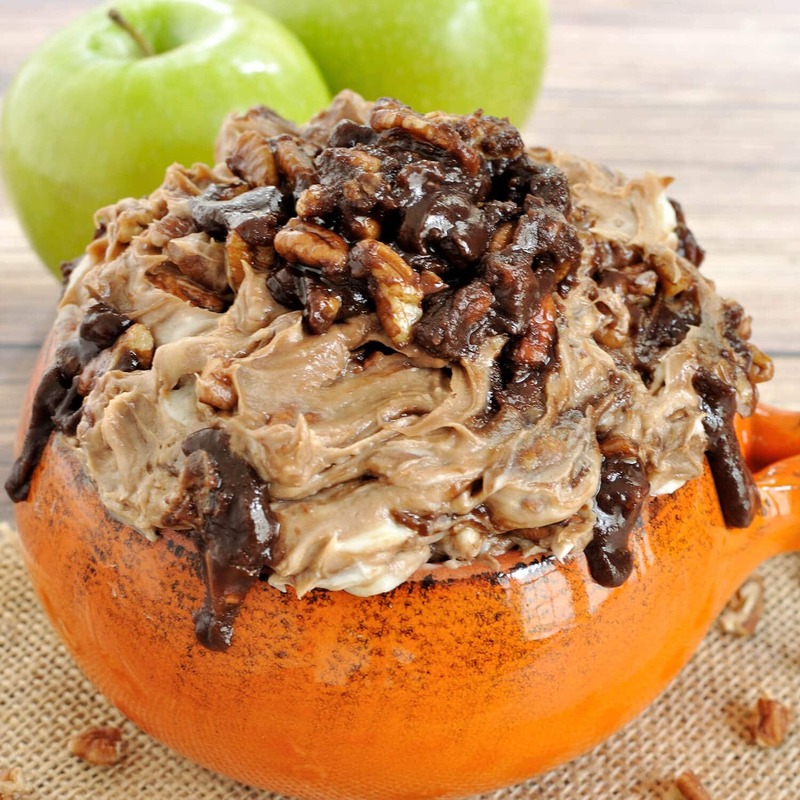 One of the favorite things about fall for many people involves picking and eating apples and making fun desserts like apple pie. This caramel apple pie cheese ball recipe is a fun twist on traditional apple pie and incorporates an easy homemade apple filling into a cream cheese mixture. The cheese ball is then covered in pie crust crumbs and drizzled with caramel sauce. 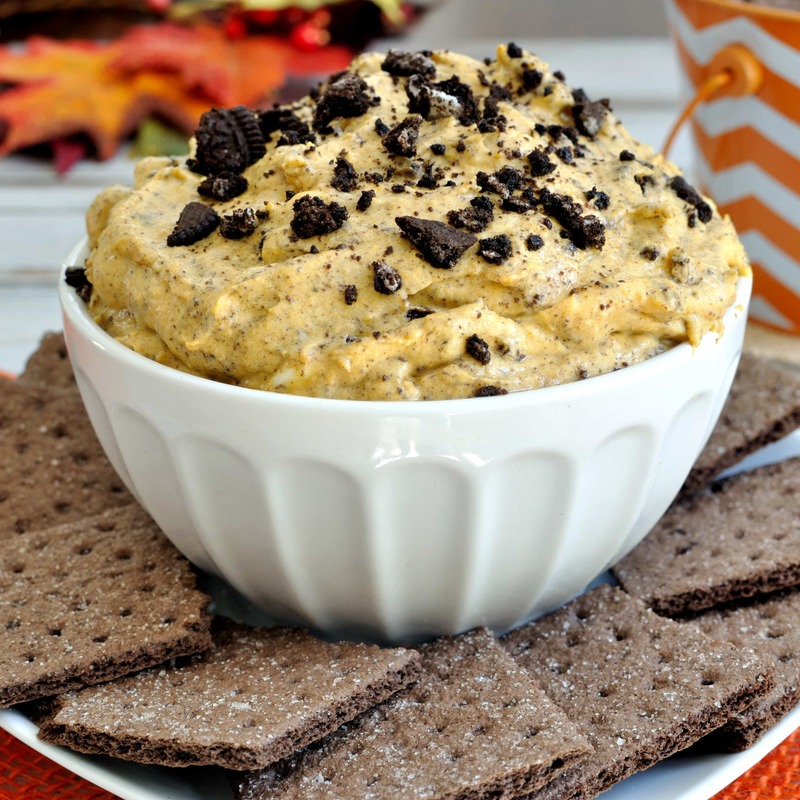 Graham crackers, vanilla wafers, and apple slices all make great dippers for this caramel apple pie cheese ball. Speaking of fall, it is absolutely gorgeous outside here right now. I think we’re in the peak for the leaves changing color and they are beginning to fall off the trees and cover the yards. I flew out of town earlier this week and it was stunning looking down at all the trees from up above. Oh and Halloween is today. Do you have big plans for spooky day? I made a last minute decision to dress up for a party we were invited to. I’ve been so busy and out of town so much over the last few weeks that I wasn’t going to dress up this year. I’m not being that creative (doing the witch thing), but at least I will have a costume 🙂 Everyone brought their kids to work the other day to trick or treat and I think that got me in the mood for dressing up, lol. Crumble pie crust into crumbs. Set aside. Add the apples, brown sugar, cinnamon, allspice, and nutmeg and cook 10-15 minutes over medium heat until apples are soft. Remove from heat and allow to cool. Using a mixer on medium speed, beat together the cream cheese, powdered sugar, and vanilla. Fold in cooled apple mixture until combined. Lay a large piece of plastic wrap on the counter and spoon the mixture onto the center of the plastic wrap. Pull up the sides, pick up the plastic wrap, and transfer to a small bowl. Press into the bowl to form a ball. Cover and place in the freezer for several hours or until firm. 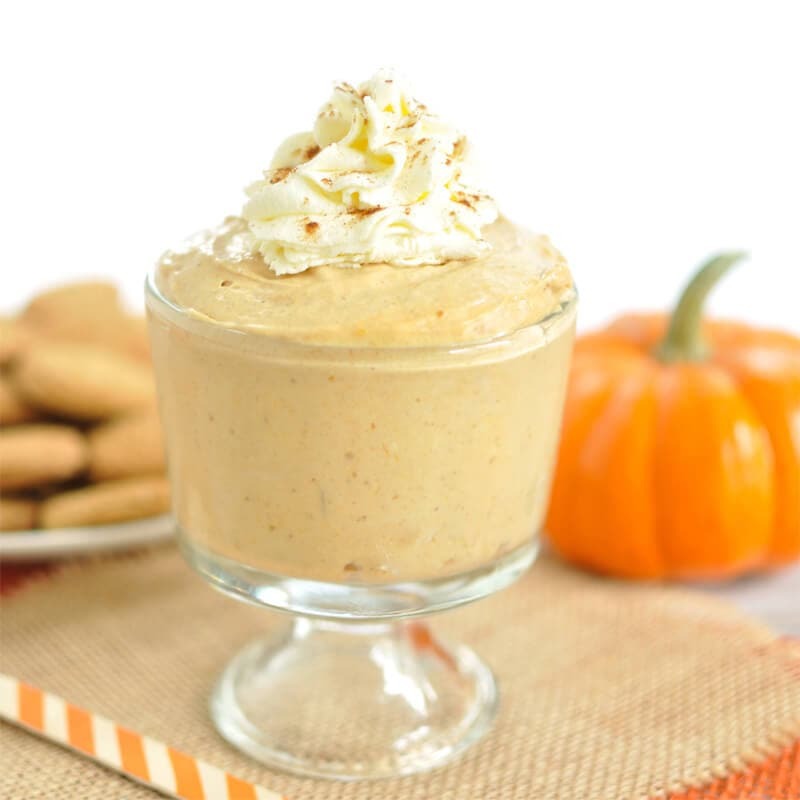 Serve this caramel apple pie cheese ball with graham crackers, vanilla wafers, or apple slices.